Vagaro's Notifications will make your life easier. Business owners can focus on what matters most, their craft. And with notifications, no-shows are reduced and clients are happier. 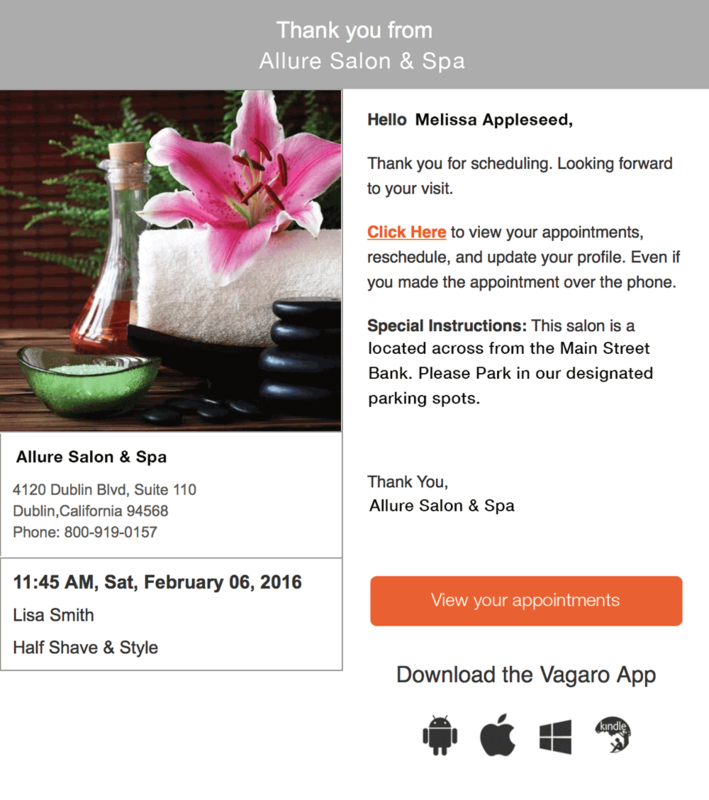 Automated email reminders are sent to your clients for their upcoming appointments. Setup post-appointment "Thank You" emails. Clients can click on the "View Your Appointments" button to see the appointment status online. Text communication is fast and efficient. Your clients can receive reminders, confirmations and anything else relating to their appointments. 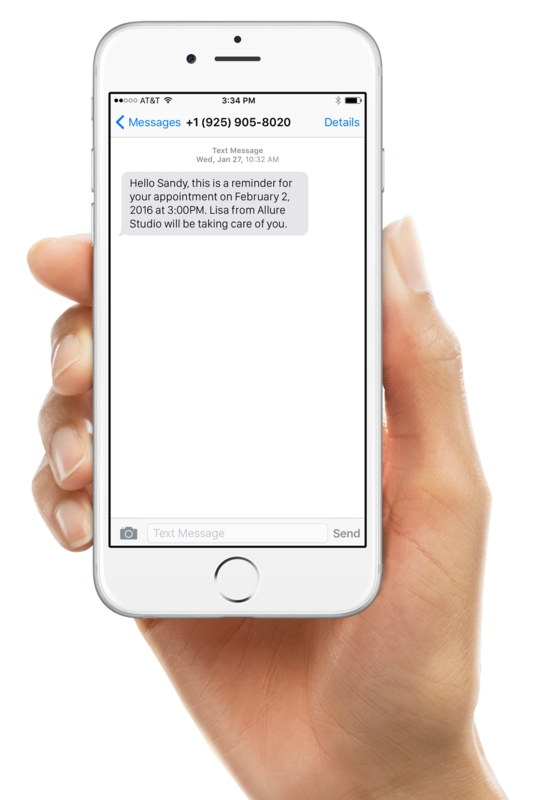 Clients can opt in or out of text messages on their own keeping you compliant. Once your clients install the Vagaro client app, they will instantly be notified about anything relating to their appointments and even your last minute promotions. 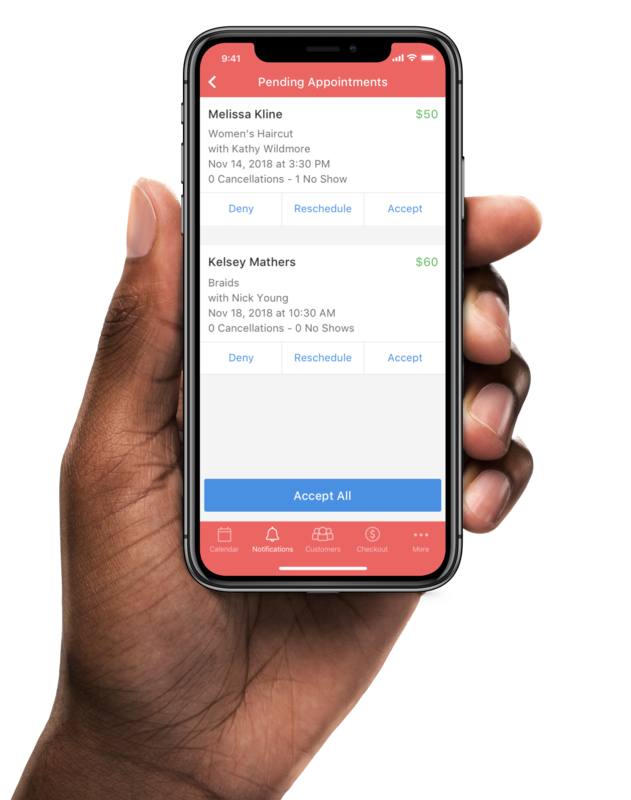 Clients will be able to add the appointments to their phone calendar in seconds. 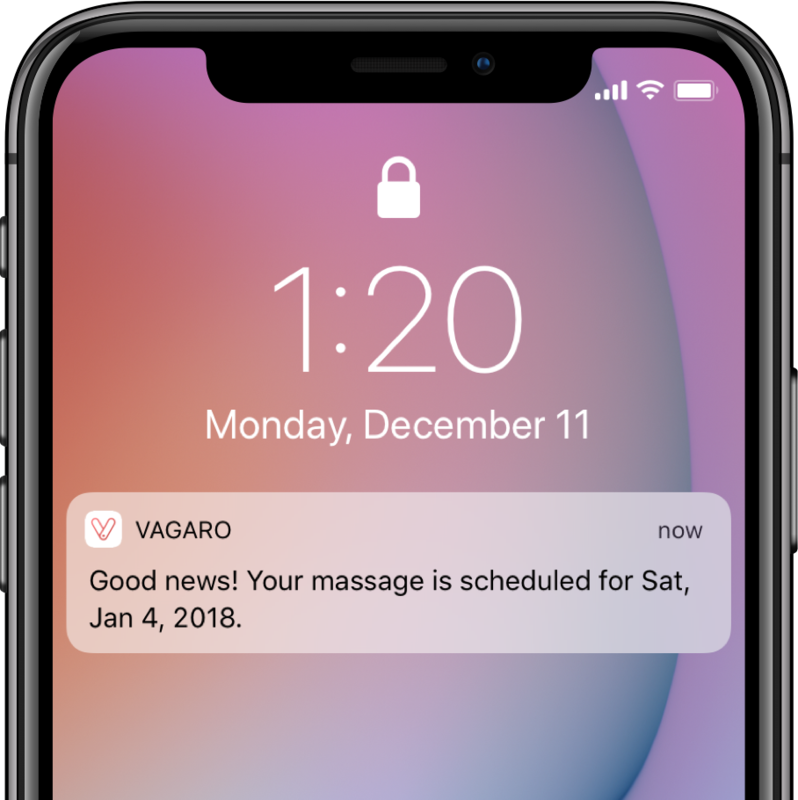 The Vagaro Pro App allows you to view your notifications including requested, confirmed, and cancelled appointments. With one click you can call or email the customer related to each notification.